Why Parents Shouldn't Be Afraid of Virtual High School? Even today, there are many parents who are literally scared of online courses for their kids! One major reason is that most of them are misinformed about online education. Some have false notions related to online learning. This is a myth altogether. Most of the genuine and accredited online schools make sure to provide challenging online courses. These online courses are highly engaging. Thus, students take a genuine interest in their studies. This helps them finish off their daily online course work in a short time when compared to that of a traditional school student. The other major reason behind this is that the online learning environment is devoid of distractions. Thus, students benefit here since they get a lot of time to work on their own skills. There certainly are some online schools that are not accredited. However, most of the genuine online schools are regionally accredited. You will have to do your own research. Try to know the accreditation status of the online school, first and foremost. When an online high school course is regionally accredited, it implies that the online high school coursemeets the same high standards as on-ground courses. This is required to remain certified and hold the accreditation status. This is completely false. When an online high school diploma is regionally accredited, employers and college admission officers hold it in high regard. They surely do accept online high school diplomas, but only those that are regionally accredited. In fact, many employers recognize that students gain excellent skills through virtual learning. Some of the vital life-skills gained through online learning are time-management, self-motivation, self-discipline, family values, sense of balance, etc. 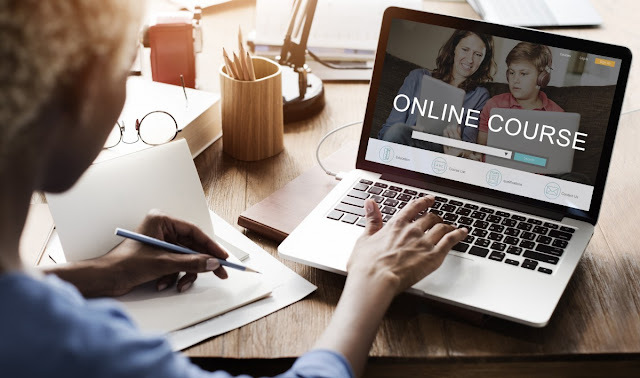 Since online learning involves no face-to-face communication, many parents are of the opinion that it might be a big challenge for an online student. However, it is not so! Students can easily talk to their certified teachers via email, Skype, or chat. Most of the online high school courses include group projects. Thus, even the shy and reticent students get to speak up in a traditional classroom setting. Thus, they readily take part in online discussions, without the fear of getting laughed at! This type of communication and a healthy exchange of ideas also lead to a strong sense of community. Most of the online schools make sure to create an active online community, with extracurricular activities. The truth is that cheating can happen at any place, whether online or a physical space. However, in an online school, certified teachers know how to take steps to prevent cheating. Many software programs are developed that help recognizes plagiarism. This is one big myth related to online schools. It is true that the ways of socialization are different in the virtual learning environment. However, these ways are pretty effective that lead to meaningful socialization, in usual. The good thing is that in an online environment, the student has the liberty to choose his/her friends or the one he/she wishes to socialize with. There is no forced socialization here. It might be true to some extent. 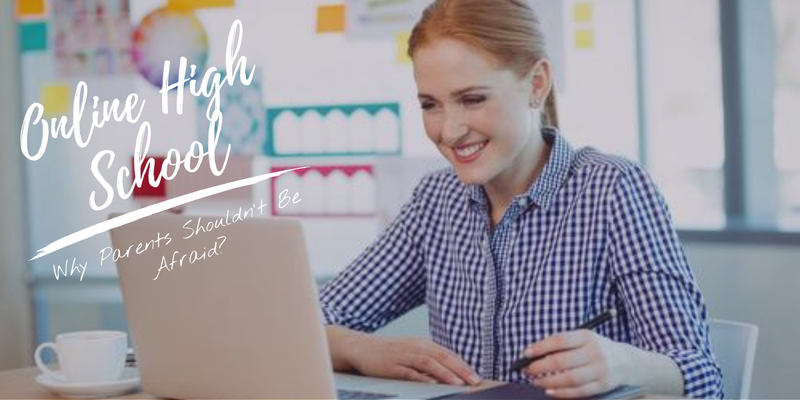 However, it does not mean that an online student is required to be technically expert in order to succeed in his/her online high school course. To speak the truth, virtual schools are about curriculum and instruction for students. Most of the virtual high schools have the basic technology to enable students to join a virtual classroom, especially where there’s proper internet access. However, students will have to take the online curriculum and instruction very seriously. They should know the basics of technology. As such, basic technical skills are required everywhere today. So, it is not too big of a demand! It is a common concern. Now, online high schools provide a lot of flexibility. With this level of flexibility comes a good deal of responsibilities as well. So, students need to put limits on certain things. Parents must make sure that their kids are making limited use of social networking sites or other entertainment-related sites. Also, many online students actually use textbooks, pencils, microscopes, and interactive curricula to study. In an online learning environment, a computer is a tool for teachers and parents to manage and track assignments. Also, it enables students to communicate and deliver interactive curricular materials. However, students can also complete some assignments off-screen. They can also spend their free time reading textbooks, using workbooks, reading library books and other things. Thus, students and parents need to work it out this way. Any online learning mode calls for some parental intervention. However, it might just be little! Most of the online high schools today come with a full-set of certified and qualified online teachers and other resources. They are sufficient to help your high-school kid learn in the most effective manner. Being parents, you would, at least, be required to monitor your child’s progress and attendance. Surely, you would be required to do the same when your child takes conventional high-school classes. However, parents must do their homework before choosing an online high school for their kids. Not every online high school is credible! There are many fraudulent schools today. So, parents must be vigilant. Make sure to look for a virtual school that has a track record of delivering student academic achievement. It must have good levels of parent and student satisfaction. Some of the other vital quality benchmarks include accreditation from AdvancED, highly qualified teachers, cutting-edge technology resources, networking opportunities, community activities, extracurricular activities, field trips for students, volunteering opportunities, early graduation courses, etc. How Parents of Online High School Students Should Prep for Success? Parent engagement is pretty important in helping online high school students succeed. The extent of parental intervention depends on multiple factors, such as the qualifications of the parents, whether or not the student is an independent learner, whether or not the online school provides proper teaching support, how busy the parents are in their professional lives and many more. It is up to the parents as to how much involved they want to be in their child’s education. Even if they have a busy schedule, they need to take out some time to monitor their children’s growth and attendance. You, as a parent, need to zero in on a proper study place. It might be an entire room or just a little corner of a room. You must consult your kid, before preparing his/her study space. After all, you must have an idea as to what suits him well and helps him keep focus. Usually, setting up a simple study space works really well. You must keep a notebook, pencils and other needed supplies that your child might need. Keep in mind that finding a learning space that works for your child may take some trial and error. However, certainly, it worth the time to find dedicated space. Space should be with zero or minimal distractions. There should be proper light and space. The place should be relatively quiet, as compared to the other rooms of your house. It should be maintained clean and organized. Separate study space is more important for your kid than you think. Taking a plunge into online high school education can be highly baffling for any first-time online student. So, you need to give efforts to create a working environment that will ensure your student’s success. It should allow them to finish off their daily coursework, without fail. Thus, the workspace needs to be designed for productivity. Without a proper schedule, a student is likely to proceed in a directionless manner. In this case, there are high chances for the kid to get deviated midway in the online high school course. So, for everything to fall in place, the starting point needs to be a definite one. Preparing a proper schedule is equivalent to marking the starting point! Parents must help their children to set up a weekly schedule. Doing it all alone might be is time-consuming. Even better if you come up with a weekly routine for your child. This is believed to be more effective. You can make changes whenever and wherever required, as per your student’s learning pattern, style, and pace. A weekly schedule must be very detailed and feasible. Never keep it too loaded. Else, there are high chances for your kid to get disappointed when he/she will not be able to live up to his/her schedule. Thus, balance is key. Your student needs to set a start time, daily, and their day should include times for short breaks. The catch here is that you need to help your child not just block out time for each subject but also set certain personal deadlines to complete course-related tasks. This will help him/her to submit assignments and projects in a timely fashion. Above all, you must be engaged in your child’s learning. You should follow up with them. Make them realize that they need to stick to their learning schedule, no matter what! Communication is truly vital in any learning environment. In an online learning environment, communication plays a major role because there is no face-to-face interaction here. It is impossible for the online teachers to get any visual cues in case something wrong has happened with a child that might be hampering his/her learning. So, children need to voice out their queries and worries openly, to their online instructors. While many kids will be self-initiators right from the beginning, certain kids might need a special kind of “push” to express their issues in front of their online instructors. This is where parents need to get involved and help their introverted children. Parents need to play a huge role in opening the lines of communication between the instructor and the child. As a parent, you must also communicate with the online teachers, especially who teach your child and monitor him/her. Try to find out how you can support your child in better ways. Ask the teachers whether extra help sessions are available. An online learning environment can be thriving and success-driven for your child only when he/she communicates with the online teachers. Now, too much freedom can lead to too much comfort. And, getting too comfortable is not a good sign! Parents must set ground rules for breaks. You should make sure that your student is avoiding gaming, videos, or any other technology during break time. These breaks are created to give your student a short time away from the screen. It should be a relaxation time for your kids. You must create pacing guides for your children to learn in the most systematic manner. These will help your student understand what to achieve in each subject area. Accordingly, they can plan out their weekly schedule. This will also help them to complete their courses on time. Keep in mind that pacing guide length and the amount of work will vary on a daily basis. You can ask your student’s teacher for help for creating pacing guides. You need to be a good learner yourself, in order to teach your children well. You must be aware of the tools and services available to your student. When you are pretty aware of the online learning tools and resources, you can help your children in their learning, more effectively. Thus, your student can successfully navigate the online world of education. How to Catch up on Credits and get back on Track to Graduate? What are credit recovery programs? Credit Recovery programs are mainly crafted to include different strategies that can be customized to suit each student’s individual academic needs. No two students have the same capabilities and grasping powers. Thus, the course material needs to be tailored in the best interests of the student. This type of customization can maximize learning and improve retention as well. Usually, the most common form of delivering Credit Recovery programs is via online summer school programs. From a traditional perspective, students can take Credit Recovery courses during regular school hours, after school. They might even take such special courses during vacation breaks or during the summer. Today, there are many online schools that are offering Credit Recovery programs. Thus, students now have multiple options to make good on their credit score. Thanks to online platforms, the students can now work with a variety of learning styles, creativity, and communication skills. In the present times, the level of competition in the job market is really high. Also, the globalization is increasing rapidly. A high school diploma is never sufficient. It is pretty much the first step toward building a solid and secure foundation for the present-day students. A high school diploma is a big asset for any student, in whichever field he is opting to go. It is all the more essential for those seeking to go on to college or applying for a job providing a fat salary. Most of the summer courses can also be taken for credit recovery. These courses are pretty much instructor-led. The students make sure to follow a weekly schedule. Courses need to be NCAA affiliated. It is important for students to understand the importance of having a high school diploma. Students need to understand the value of a high school diploma right from the very beginning. Such programs usually prepare the children for the upcoming college-level or job-level work environment. It is required for students to approach online learning with a new mindset. Online courses can do much more than just to help you recover your credits! Most of these online courses offer you an exclusive platform with new learning methodologies. These modern methods make use of learning processes in order to maximize retention. This helps students to improve their overall learning process. It helps the student to overcome geographical limitations as well. They have good access to the online teaching faculty. Most of the online courses tend to give your child the edge needed to deal with these and other credit recovery issues. The best part is that your student will have the scheduling flexibility to retake courses to bring up his or her GPA. You can even catch up to classmates and get the credits that are way important to graduate in a timely fashion. The core Credit Recovery Courses usually include English 9, English 10, American Literature, British and World Literature, Pre-Algebra, Algebra I, Integrated Mathematics I, Geometry, Integrated Mathematics II, Algebra II, Physical Science, Earth Science, Biology, Chemistry, World History, Modern World Studies, Geography, U.S. History, Modern U.S. History, U.S. Government and Politics and Economics. Most of the online credit recovery courses are affordable, convenient, and flexible. These are importantly self-paced. You can have immediate access to your course. You can start as soon as you are ready. These are free one-on-one online tutoring. These include a writing center, scheduled, or drop-in. Your degree plan usually consists of full course credit for courses. You might experience easy credit transfers. Most of these courses provide live support to get the technical, membership, or course support. Go for full course credit for courses within your degree plan. Always remember that high-quality degree programs and commitment contribute largely to your educational success. Many individual schools determine credit eligibility these courses. Students who enroll in a credit recovery course are not really dependent on their school. They are pretty much responsible for determining whether their school will grant them the credit. Thanks to online learning, online homeschool programs have access to a platform that can be customized to suit their personal needs. They usually have complete control over the way they learn without having to deal with conventional pressures. These pressures mostly include coping with their peers and finishing off their assignments within set deadlines. In online learning, the students have the freedom to browse through their content at their own self-generated pace. They can spend as much time as they need to in order to learn it thoroughly. The online school programs have deadlines as well. However, these courses are pretty much flexible than traditional schooling programs. Most of the online summer school. Students are more open to asking questions and understanding their course material when they are not subjected to the possibility of public ridicule by their peers. Online learning platforms allow them to do that. They are free to interact with their teachers and their classmates online. They can exchange info and ask questions without being laughed at. Thanks to online learning, students have easy access to a number of different opportunities in the virtual environment. Many online courses can be used to earn extra credit, enroll for electives, Advanced Placement courses, Dual enrollment courses, and other advanced ones. Thus, it can be stated that online platforms provide a feasible option for imparting education. Most of these credit recovery courses can be rigorous to test the true mettle of the students.